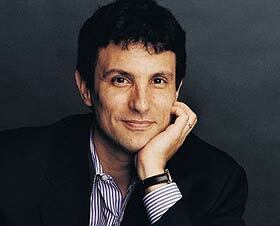 David Remnick (above) went to Israel and wrote about Haaretz for The New Yorker. I thought this was a fascinating article from the description of the office, to the Israeli newspaper’s unpopular leftist stance on many subjects. Much of my reading this week will be referenced here in subsequent weeks: suffice it to say that the next few books you’ll see reviewed under my byline were initially read in the past seven days. Also read recently: Patrick Ness’s The Ask and the Answer, which is an impressive (and, at times, impressively nasty) slice of dystopian science fiction. Ness knows his plotting, has done a fine job creating the world his characters inhabit, and has created some deeply memorable villains — all of which made for a fine, wrenching experience. What I really want to talk about, though, is the fact that I’ve had nonfiction on the brain as of late. Specifically, accounts of places far from here. Two things have had a significant influence on this. One was the latest issue of Bookforum; the other was seeing John Luther Adams’s Inuksuit performed last weekend as part of the Tune-In Music Festival. That performance led me to revisit Alex Ross’s 2008 profile of Adams, which emphasized the influence of Alaskan landscapes on Adams’s compositions. All of which means that my to-read list (and shelf) is growing yet again. I recently picked up Peter Hessler’s River Town (hat tip to Bookavore for that particular recommendation). From reading the current Bookforum, I’m interested in reading William Dalrymple’s City of Djinns and Bruce Chatwin’s In Patagonia (as well at Chatwin’s novel Utz); via the Ross piece, Barry Lopez’s Arctic Dreams has entered my brain and doesn’t seem to be going anywhere. I don’t think it entirely qualifies as a travelogue, but Geoffrey Wolff’s Black Sun also lurks on my t0-read shelf. I’ve found that a diet of fiction prompts different habits and behaviors than one of nonfiction; I’m curious to see what results come of this next crop of books. Shoddy Bushwick postal workers not delivering stuff means you get a reprieve from this feature as my weekly “Hey at Least I Read The New Yorker!” report. Instead I can tell you that I spent the week eating pizza for fifty percent of my meals, blasting Young Money, and doing a surprisingly decent amount of reading. Aside from finishing the Lipsky-Wallace Babylon discussed last week, I also cracked open a procured paperback of Robert Graves’ Good-Bye to All That (recently eulogized and hyped by the supreme being Paul Murray, whose Skippy Dies, the best novel I know of released in 2010, shares many of Graves’ themes and unique tone of the Isles). This ended up being a week of Dave Hickey for me also, if only because I’ve been doing a lot of head scratching about criticism as a part of the process and function of democracy. His increasingly known book Air Guitar is the essential tome of art essays published in my lifetime. Buy the ever-loving hell out of it. You can read an interesting interview with Hickey at Zing Magazine here, and see him burn a bridge as only he can here. You can also watch many of his rambling, divergent, tangential beautifully winding lectures on Youtube. Having seen him at SVA last year give a presentation entitled “The Good Ennui” (actually available in full here), I can tell you it is a trip being yelled at by a man who looks like Santa, castrating the consumerism of art schools from a podium with a Venti cup of Starbucks in one hand and his iPod bud half-wedged into his good ear. We are a world of gorgeous contradictions and mercurial personal truths, and it takes a good ol’ boy (or girl, namely Hickey’s wife Libby Lumpkin and her awesome book Deep Design from Art Issues Press) to speak with conviction.